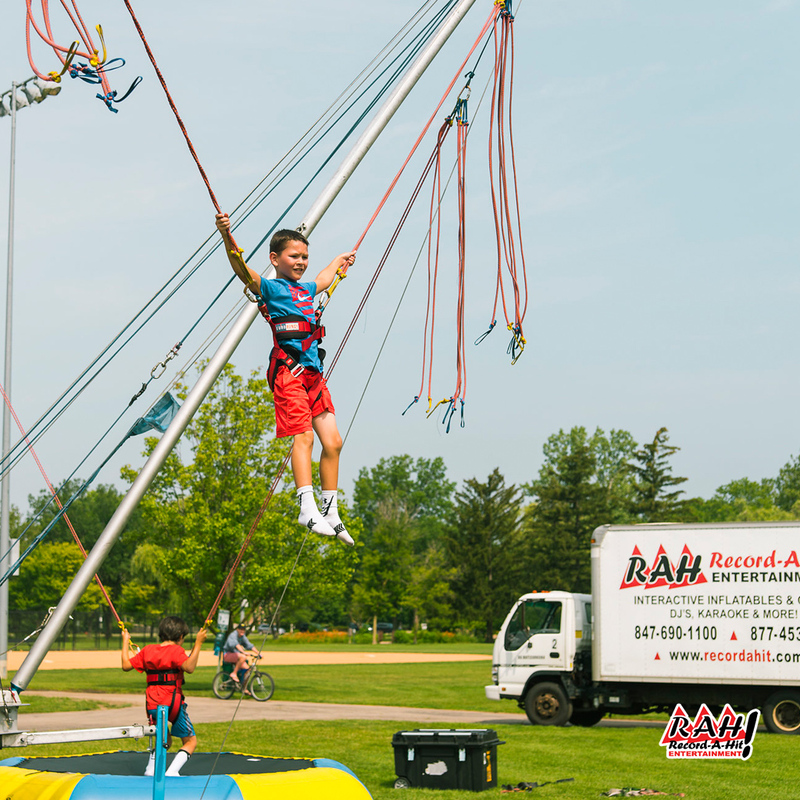 Looking for the best attractions for your next school, corporate or social event? WE ARE YOUR PROFESSIONAL PARTY PLANNERS! 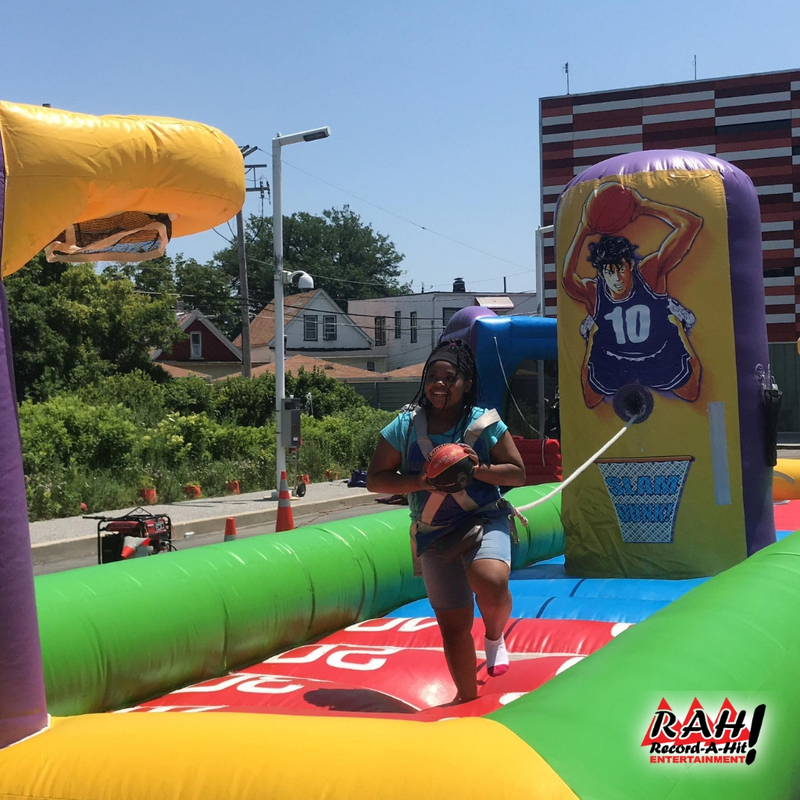 Record-A-Hit Entertainment is a full service party rental equipment provider and specialized in entertaining young people at college and corporate events. We provide on-site professionals who set-up and remove equipment when the event is over. During the event, they make sure that everyone plays safely and has a great time, and that the equipment performs as it should. We also deliver and supervise our 300+ attractions and carnival games to much of the United States, including Illinois, Wisconsin, Minnesota, North Dakota, South Dakota, Nebraska, Iowa, Kansas, Colorado, New Mexico, Oklahoma, Arkansas, Missouri, Mississippi, Tennessee, Kentucky, Indiana, Michigan, Ohio, West Virginia, Pennsylvania and New York. 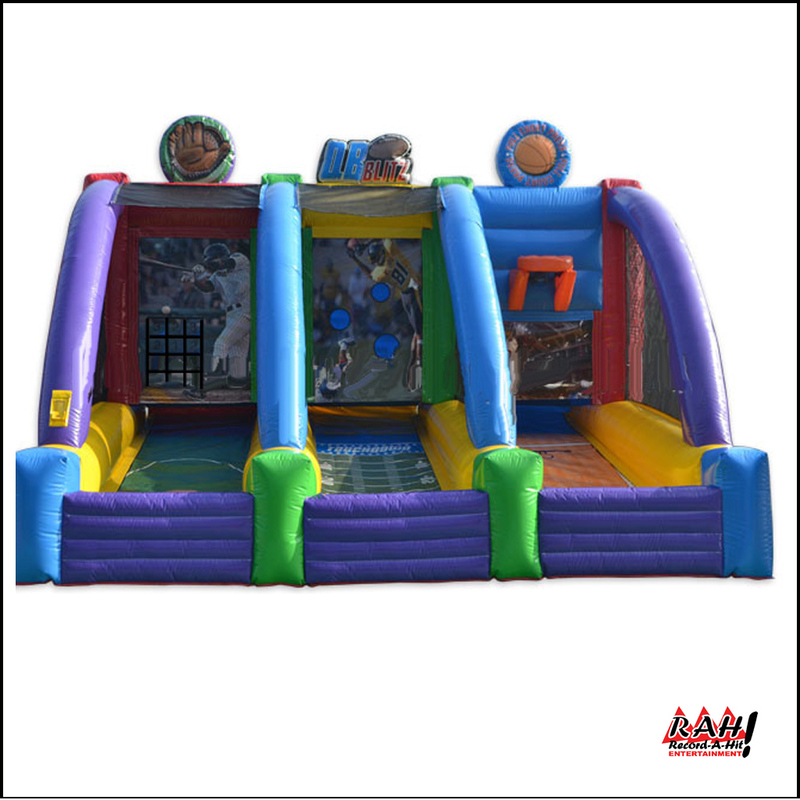 This inflatable competitive basketball game combines the competition of basketball with the strategy of a Connect Four game. 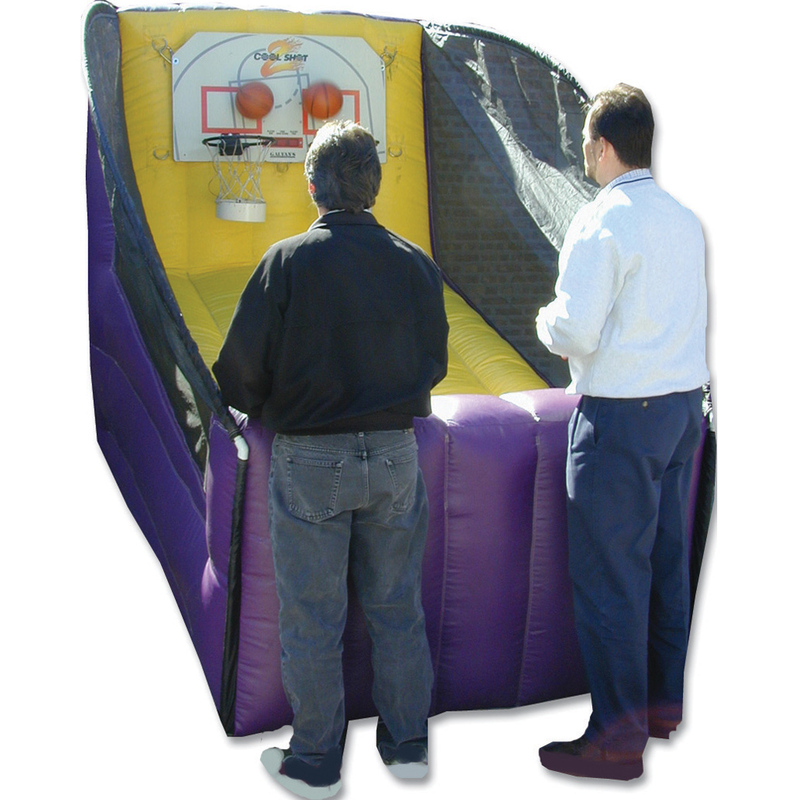 This inflatable basketball game offers the same fun as Pop-A-Shot but can usually fit in smaller places as well as being colorful and fun. Your guests are tethered to each other with a bungee cord so it’s a cross between basketball and tug-of-war. 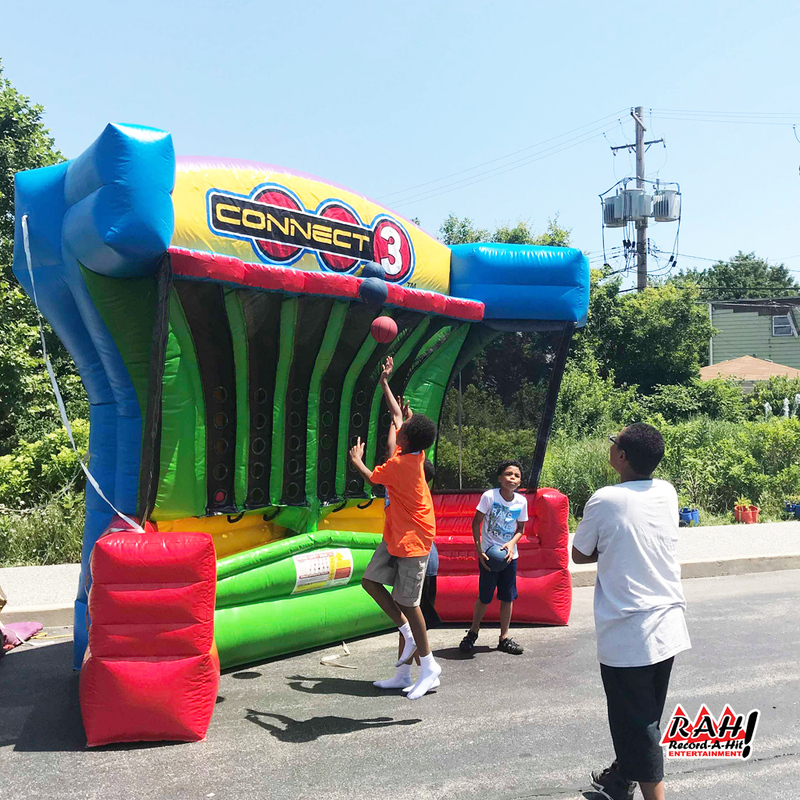 Your guests can challenge each other in three sports – basketball, football and baseball with our 3-Play Sports Inflated Carnival Game. 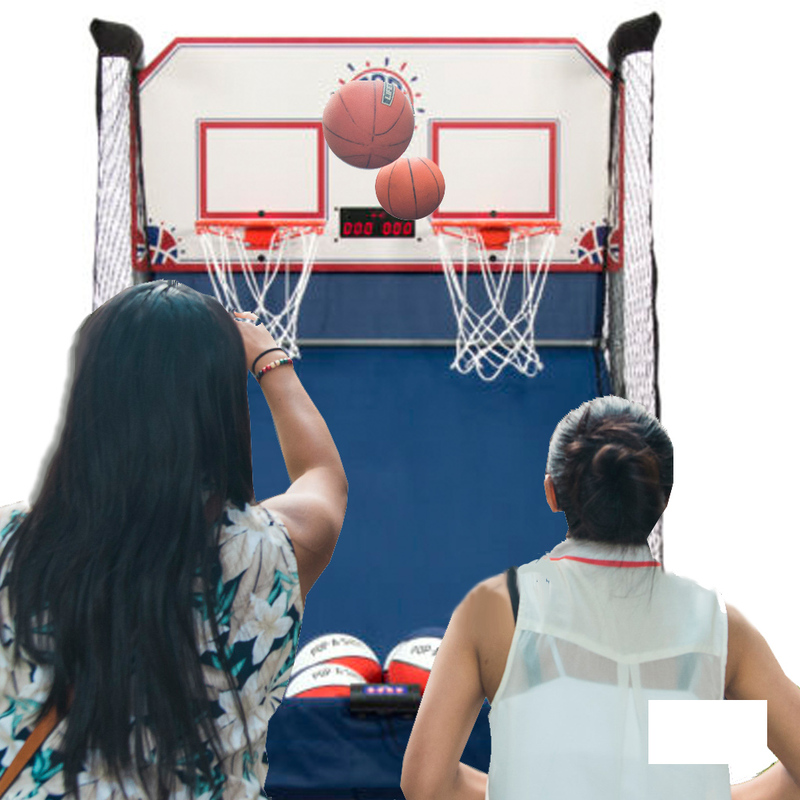 This classic basketball challenge game allows your guests to challenge each other to a one minute basketball game. Your guests will love rocketing sky-high in the air like they’ve never done before and up to four people at once can use our Eurobungy 4-in-1 trampoline. We help you select the best attractions for your event. We break down the equipment and clean up after your event. What are the best 2019 college games and attractions for college campus events? Basketball, Batons, Darts, Oh My! Have you joined our email newsletter? If you do, you’ll get see our latest attractions first, a chance to win contest prizes and get exclusive event planning tips and tricks. Just fill out the form below.